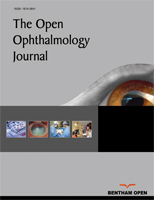 Randomised clinical trials in 6 – 13 y.o children with moderate and severe anisometropic amblyopia. Each patient was consecutively selected with continuous or split part-time occlusion. Best corrected visual acuity’s improvement was followed up to six weeks and statistical data were analyzed using chi square and unpaired t-test. Best corrected visual acuity’s improvement was comparable between continuous and split part-time occlusion (0.20±0.27 vs 0.21±0.25; p = 0.79). Split part-time occlusion may be considered as an alternative treatment for moderate and severe anisometropic amblyopia treatment. Keywords: Part-time occlusion, Full time occlusion, Amblyopia anisometropia, Visual acuity, Divided occlusion, Continuous occlusion. © 2018 Irfani et al.